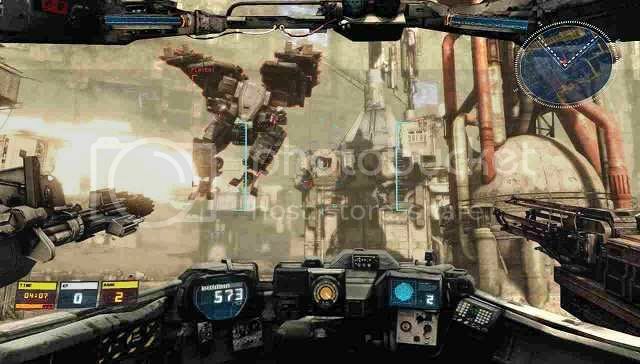 Hawken is a free to play game, online multiplayer with customisable mechs. It's just recently been made available to play on the PS4. If you're good at the game you can unlock different types of mechs in a fairly short amount of play time. Each one has a unique ability activated by pressing X (on PS4). Using your ability well should give you an edge in combat. In the below video I'm using the assault mech, its unique ability is an increase in damage output for all weapons for a short time. Other mechs have abilities such as invisibility, seeing enemies through walls, reduced damage to the front, or heat venting (which is your starter mech's ability). So you can see how I did in the video, if you didn't watch it yet *spoilers* I managed first place. I've not paid any money, so far I'm not seeing any evidence of pay to win which is great news. But it's free.. so what's the catch? Most of the paint jobs and other ways to make your mech look pretty are locked behind a pay wall. So if you want a bright pink mech or a weird alien duck staring at you in the cockpit (who wouldn't?) but sweat profusely at the idea of paying for the privilege then this might cause you some problems. There are other cosmetics such as slight variations on mech limbs as well that can be bought. And of course, you can splash some cash to unlock specific mechs straight away. Each mech does have a V.20 version with slightly better stats and some of these will take some grinding to save up for. There are the expected modes such as Team Deathmatch, Deathmatch and Base Capture where you want to control the three bases more than the other team, and a couple of other modes I've not really looked at yet. But one was a co-op mode versus AI which sounds fun. In regards to the netcode, it seems to be really solid most of time with no problems. I've only had one game with lag so far and wow, that was some lag. And I've been booted from a couple of matches mid match. No explanation as to why. Could be the host left or servers are struggling, I just have to guess. But the good news is you still get some of rewards should that happen. If you're looking to earn credit's to get unlocks in the shortest time possible, winning a match in each game mode gets you a nice bonus and that resets every day. File download size is about 10gb. So personally, I've not played many free to play games but this is easily the most fun one I've played to date. Sure sounds promising, at least as far as FTP games go, and it's always nice to see mech games. It's a shame the environments seem somewhat bland.